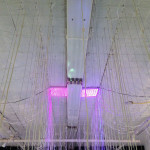 Closing Party: December 14th, in connection with one of Newark’s cherished local traditions. 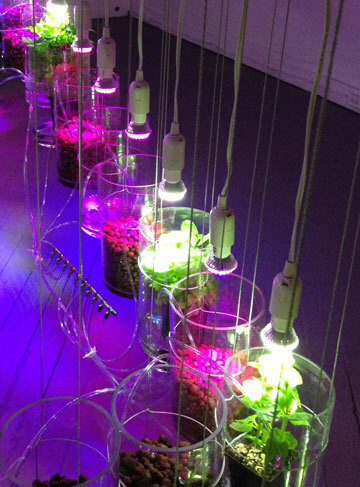 Gallery Aferros’ Holiday Party/Potluck/Open House and Artist Talks, is presented from 2-7pm in partnership with Aljira, A Center for Contemporary Art. 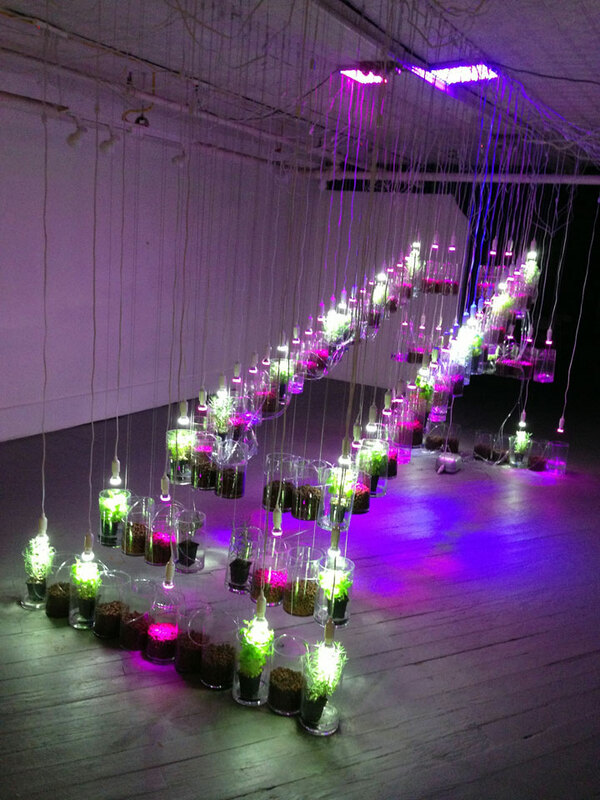 “Fukushima Daiichi,” the seminal work in this exhibit of the art of Vikki Michalios, perhaps best embodies the artist’s affinity for Earth’s effort to renew and repair itself, and in process, affirm both life and beauty. 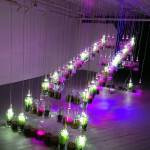 In the aftermath of the 2009 tsunami disaster, the contaminated areas of Fukushima had been sown with sunflowers to absorb and decontaminate the radioactive soil. 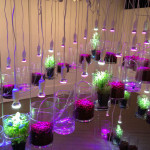 The result has been huge swaths of yellow flowers, wide fields of astonishing beauty echoing the yellow shimmer of life-giving sunlight. 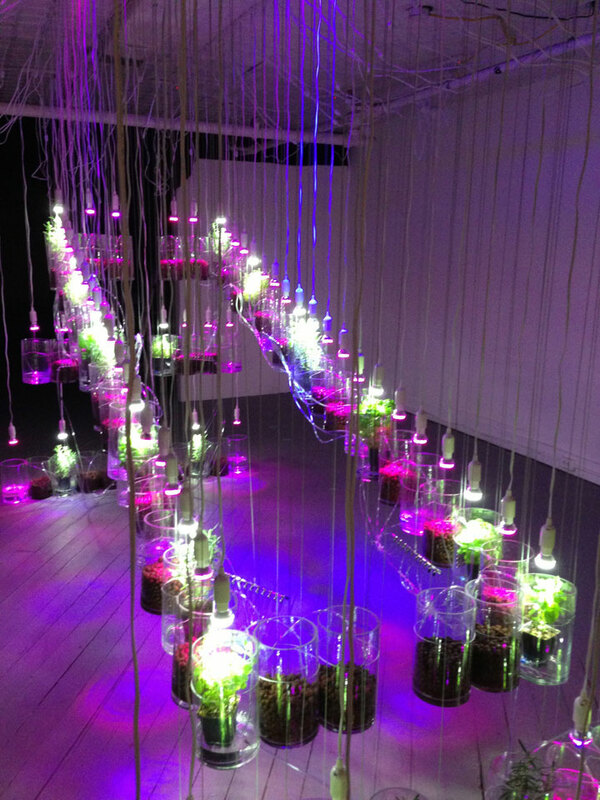 From this statement of hope in the midst of an unparalleled disaster, Ms. Michalios drew the inspiration for the abstract “Fukushima Daiichi”, a series of water-based screen prints that uses art to recognize the tenacity of life itself. 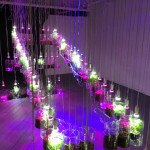 A six-foot by 20-foot wide hanging garden installation, “Beyond Organic”, accompanies the prints. 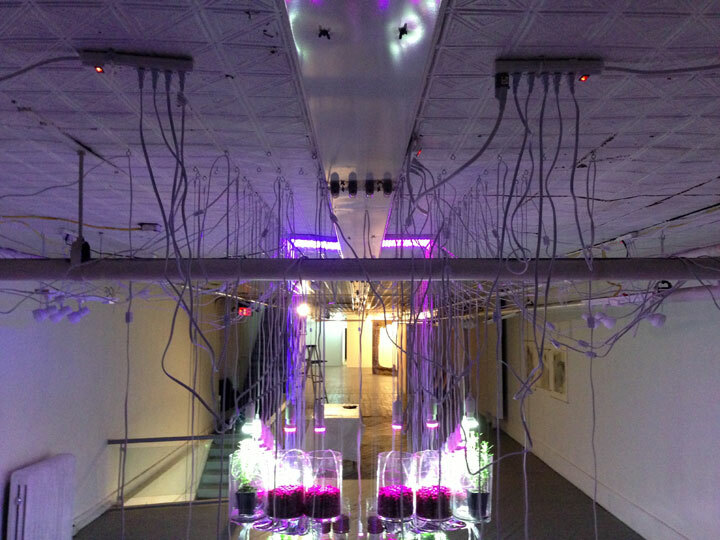 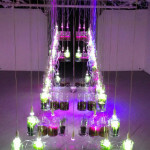 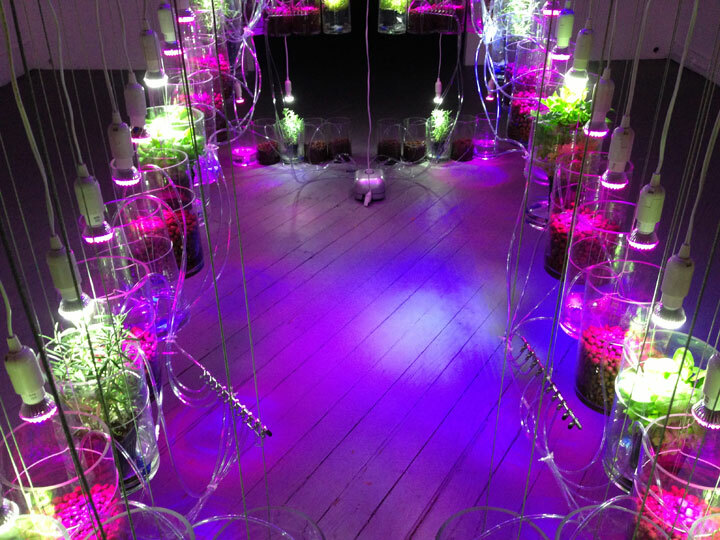 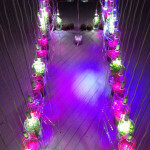 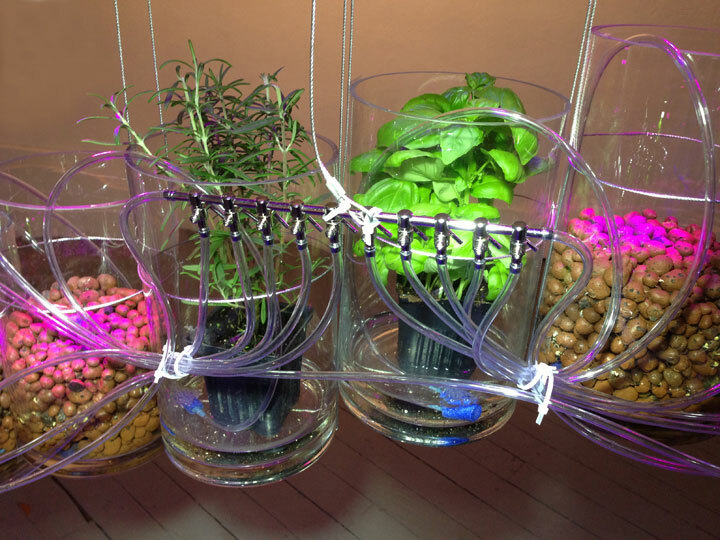 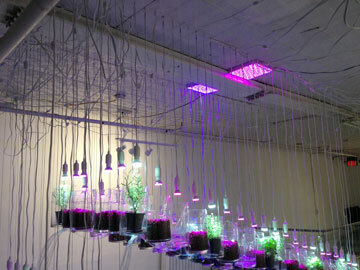 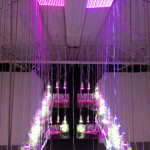 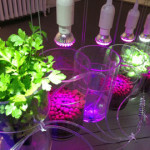 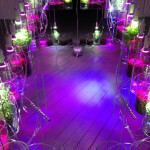 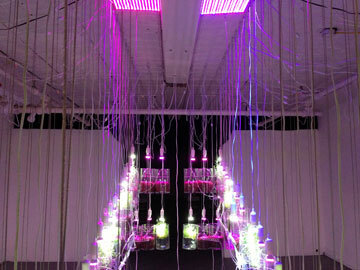 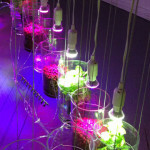 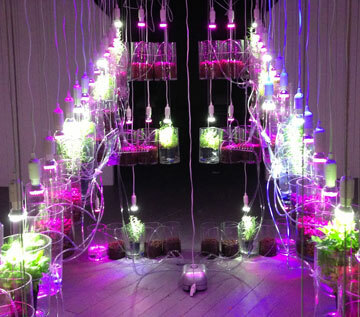 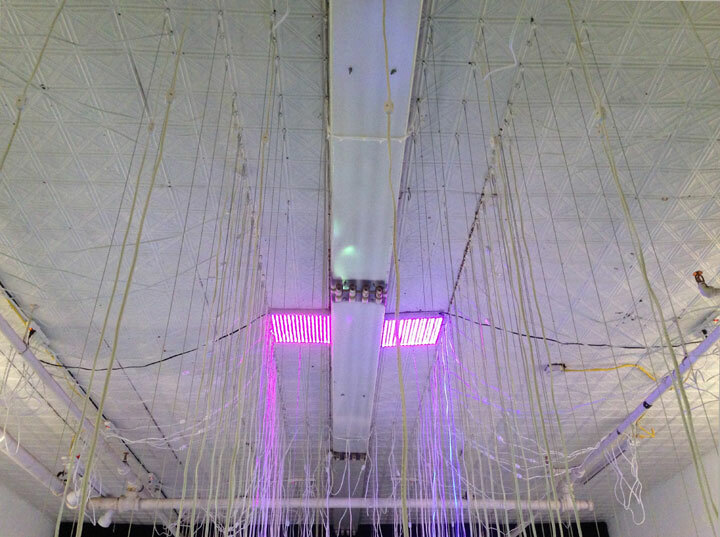 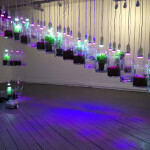 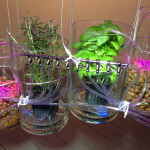 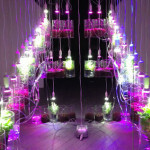 This hydroponic installation blends art, horticulture and sustainable technologies. 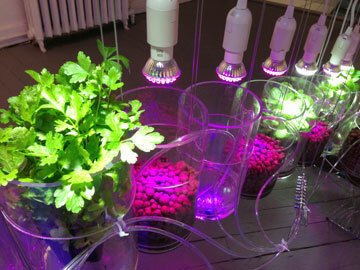 It is also a commentary on the current use and effect of such “scientific” techniques as pesticides and genetic modification on the eco- system. 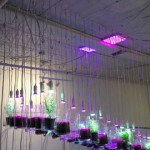 From 200 hanging vessels filled with water, nutrients and clay marbles, sprout beans and other plants, in a sustainable ecology with minimal intrusion on the earth’s resources. 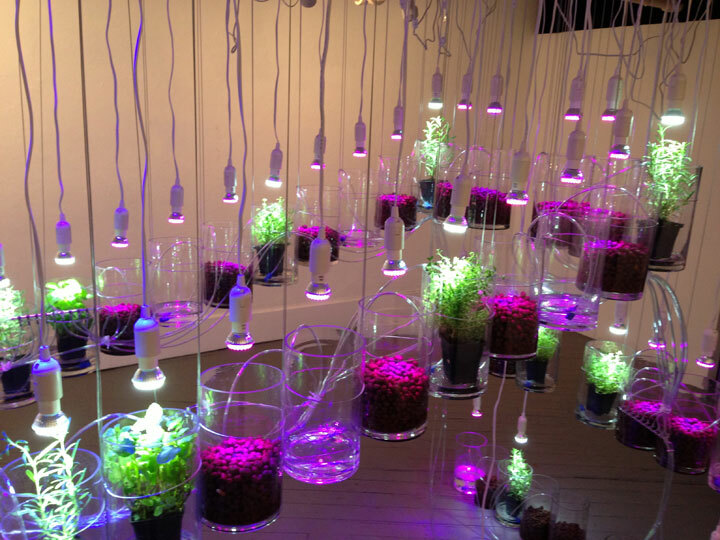 It is also art alive, as the plants change without sunlight or soil, as well as with the waterfall of pink light from grow lights. 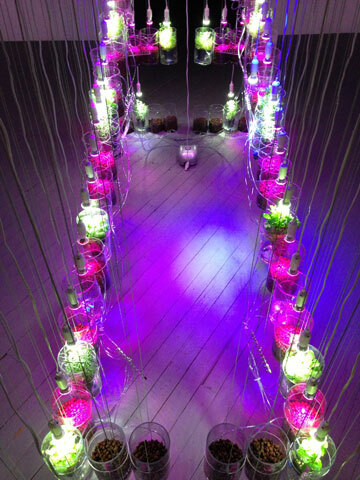 Ms. Michalios has a similar installation called “The Not So Secret Garden” at the Teacher’s College of Columbia University. 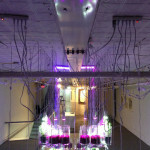 Part of the group exhibit “Doing and Undergoing,” the installation will be on view until December 15. 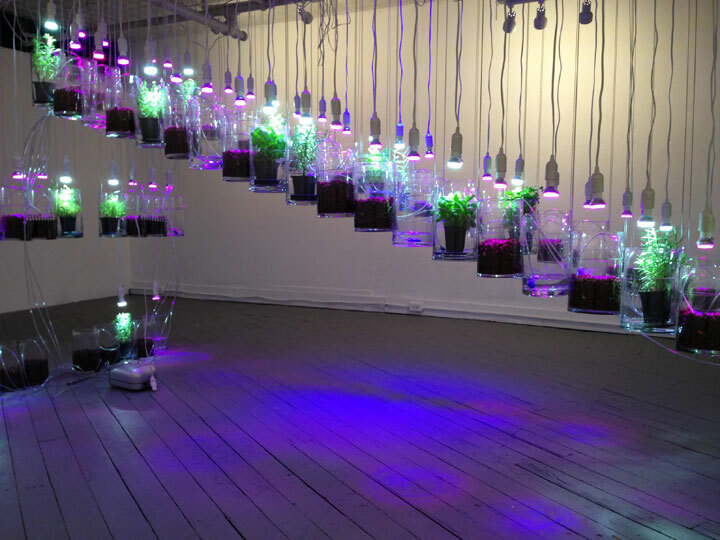 Faculty members, students and even pre-school children have arrived at the Teacher’s College to view, admire and tend to the plants in the installation, thereby conferring a shared ownership to the artwork. 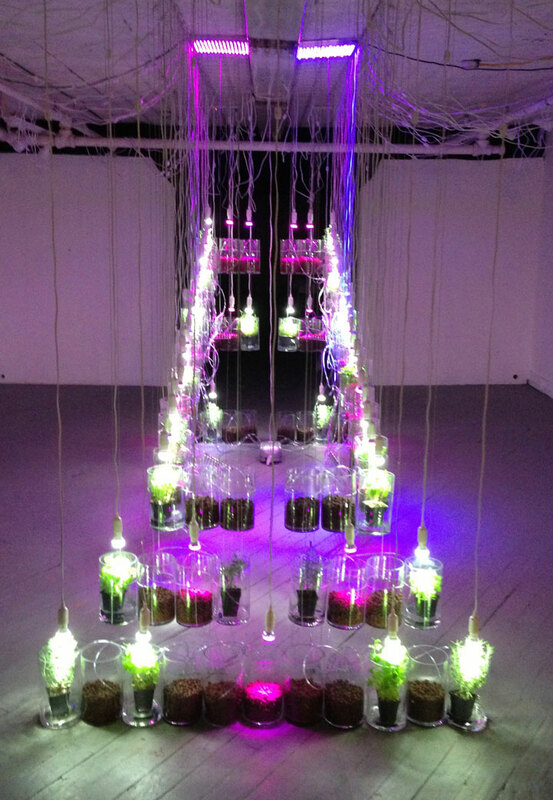 The art work of Vikki Michalios explores the mutability of art and seeks to end its separation from life – an art that is not only for viewing but for experiencing.